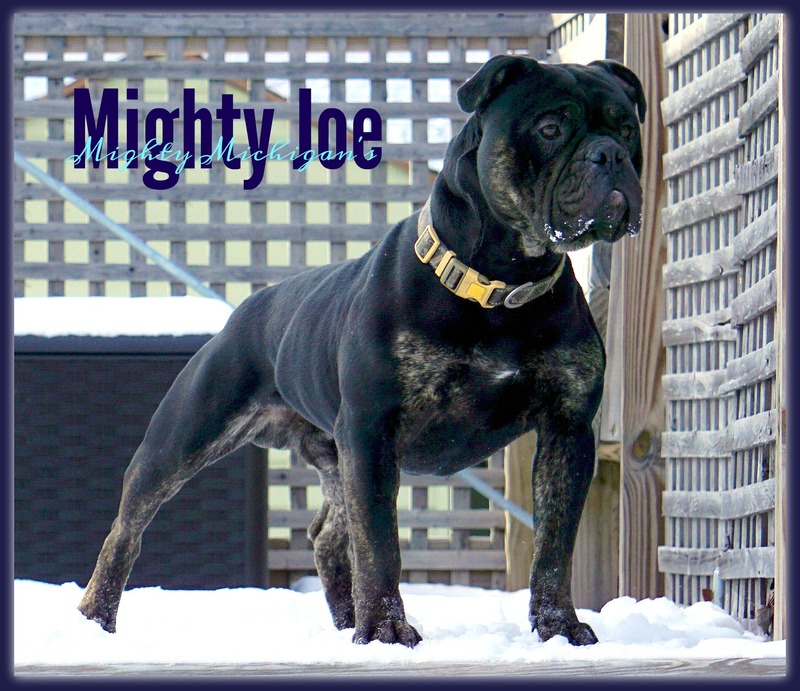 Joe is out of Mighty Michigan’s Miss Bo x D-Day’s Hunter. He definitely has the WOW factor – muscle mass, bone, and structure! Joe, despite his tough look, is the biggest snuggler just like his momma! He is the spitting image of his sire, D-Day’s Hunter. We are very excited that Joe followed in Hunter’s footsteps and can’t wait to see what Joe produces.